We are honoured you have chosen us for your journey to beauty and wellness. Our goal is to create a centre of excellence by bringing together a wide array of expertise in our state-of-the-art, result driven facility. 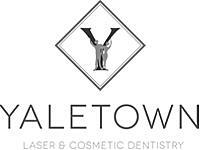 By marrying non surgical cosmetic skin rejuvenation, laser technologies, and laser and cosmetic re-constructive dentistry , we strive to provide a unified multidisciplinary approach that will create the best outcome for your image enhancement experience. Our focus is on providing a holistic insight for your lifestyle; by imbibing humanistic values of active listening and sharing, our talented team members look forward to serving you with compassion and discretion. Please share with us your special desires and dreams for yourself and let us help you achieve success in all your personal development endeavors. Dental: Dental Hygiene, Porcelain veneers and crowns, Reduction free veneers, Invisalign, General restorative treatment, Teeth whitening, Laser and cosmetic services, Cold sore sterilization, Laser gum Therapy. Laser centre: Botox, Facial Volumizer, Laser Hair Removal, Photo-Rejuvenation, Fractional Skin Therapy, Microdermabrasion, Skin Peels, Skin Needle Rolling.